Heroes come in all shapes and sizes - including canine. 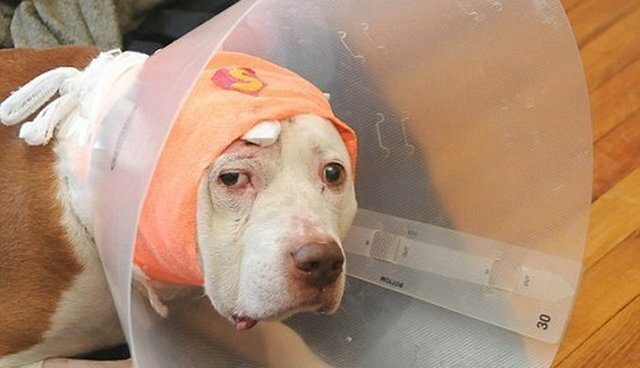 A dog named Kiko took a bullet for his owner, lost his home and is now looking for his second chance. Kiko made the news in 2012, when he saved his owner from a home invasion. A man masquerading as a UPS delivery driver tried to break into Kiko's home on Staten Island, New York. 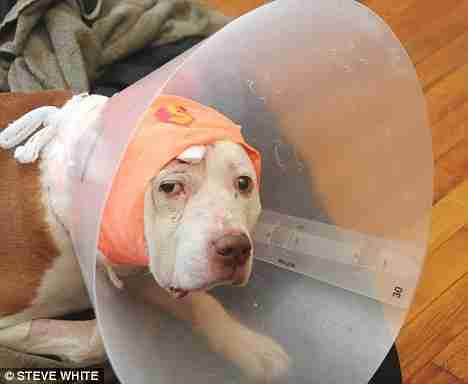 When Kiko tried to stop him, he was shot in the head. Luckily for Kiko, the bullet ricocheted off his skull, and he was miraculously able to make a full recovery, even though he is a senior dog. That would have been the perfect happy ending, but, unfortunately, Kiko's owner ran into some hard times about two years ago. He was forced to move and couldn't take Kiko with him. 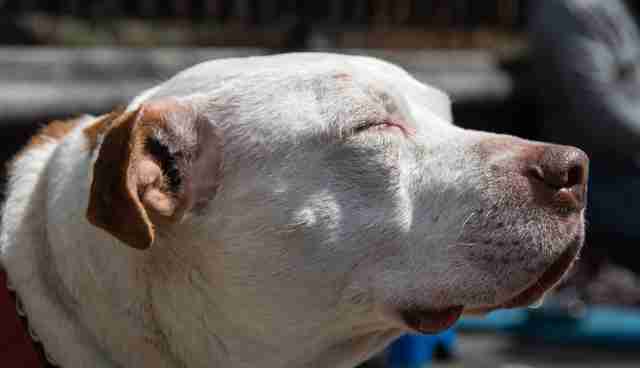 Kiko saved his owner's life and home, and then suddenly found himself without a home at all. Mighty Mutts learned of Kiko's plight, and in late 2014 Kiko was transferred into their care. "The first few weeks of adoption drives, it was obvious that Kiko was very confused, and just seemed to be looking for his owner," Jill Haynes of Mighty Mutts told The Dodo. "Initially we thought he was a little shut down, but after a bit of time we realized he was actually just completely deaf." Mighty Mutts is unsure if Kiko has been deaf his whole life or if it is a result of the gunshot wound. Either way, once they made this revelation, bonding with Kiko became a whole lot easier. "Kiko responds to touch rather than sound, and like most dogs enjoys a good back scratch," Haynes told The Dodo. 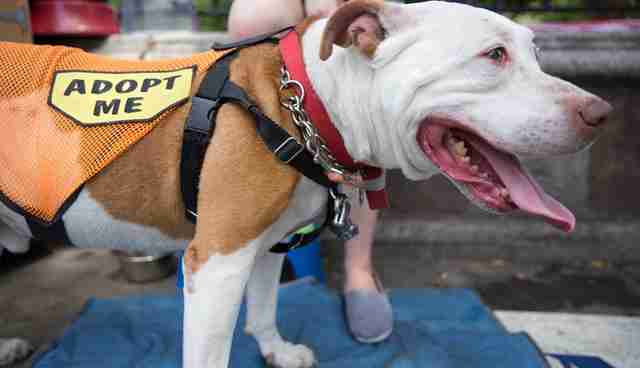 "He is a more reserved dog than some of our others, which causes him to get overlooked frequently at adoption drives. But when he bonds with a volunteer and leans his head in for pets and scratches, it is the most endearing thing in the world." Mighty Mutts has been searching for Kiko's forever home for over a year and a half now. 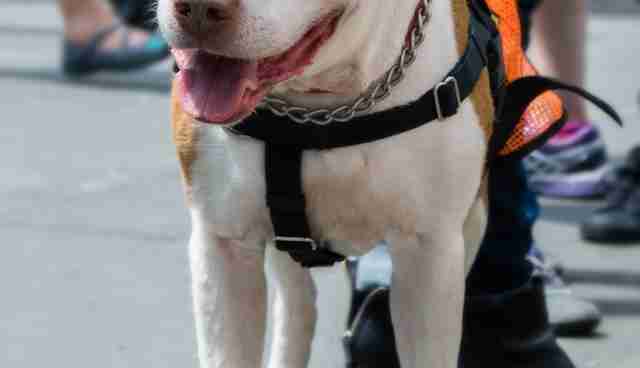 Kiko is such a lovely dog, but because of his age and his demeanor due to his deafness, he is struggling to make that forever connection with somebody. Kiko loves soft dog beds, rolling around in the grass and just enjoying life - the perfect furry companion. Kiko is now 14-years-old, and would do best in a home with no other pets (except maybe a calm senior dog) and no young children. He needs minimal stairs, so a walk-up building would not be ideal. Since a home visit is required as a part of the Mighty Mutts adoption process, Kiko's prospective family would need to live no more than two to three hours outside of NYC. If you or someone you know might be interested in adopting Kiko, you can go to the Mighty Mutts website to get the process started. Let's find Kiko his happily ever after!